This magnificent, powerful raptor (bird of prey) is a moderately common resident in the greater Samford district, but it is secretive so not often seen. It is a stealth predator: usually waiting on a shady branch for a chance to launch at unwary birds or mammals in trees or on the ground. It prefers dense forest, but can occasionally be found in more open woodlands or nearby open country. 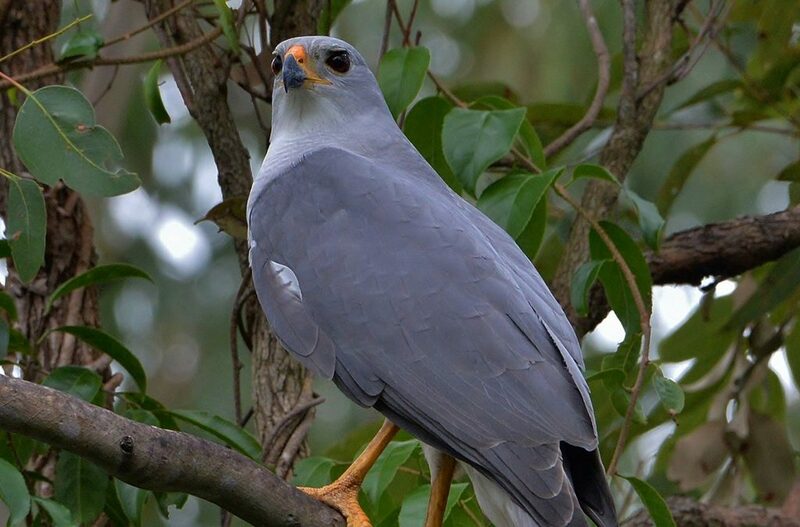 The best chance of seeing this goshawk is when its presence is given away by being mobbed noisily by other birds (such as honeyeaters, crows and magpie-larks). The plumage is uniform grey above and mainly white below. The bright yellow legs and cere (behind the bill) are distinctive, as is the dark red iris. In flight, the wings are more square-tipped than other similar sized raptors and it has a shorter and broader tail. There is also a pure white form (morph), which is more common in southern Australia.